The Hamilton Apartments on Hume Street, takes its name from one of Albury’s founding explorers, Sir Hamilton Hume. 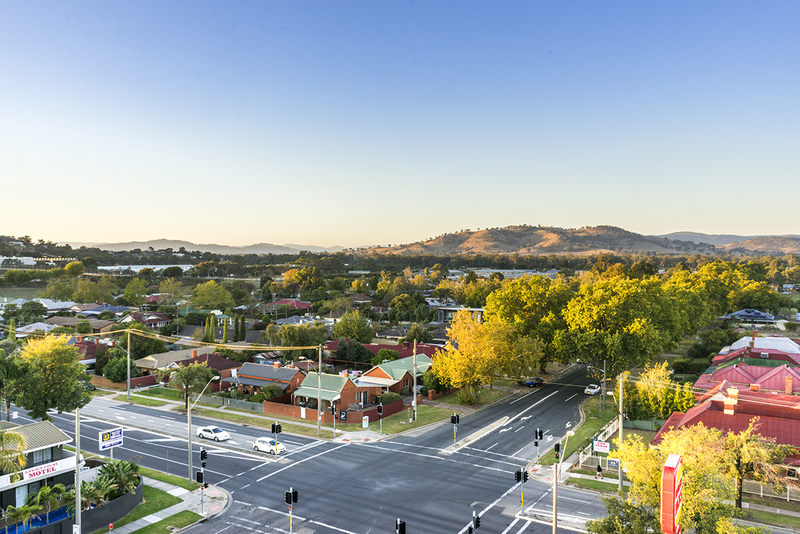 Located at the eastern end of Albury’s CBD, it offers the perfect balance of classic luxury and urban living in the heart of Albury. This collection of 30 exclusive apartments offer residents the freedom to enjoy a robust social lifestyle, before retreating into beautifully crafted private sanctuaries. 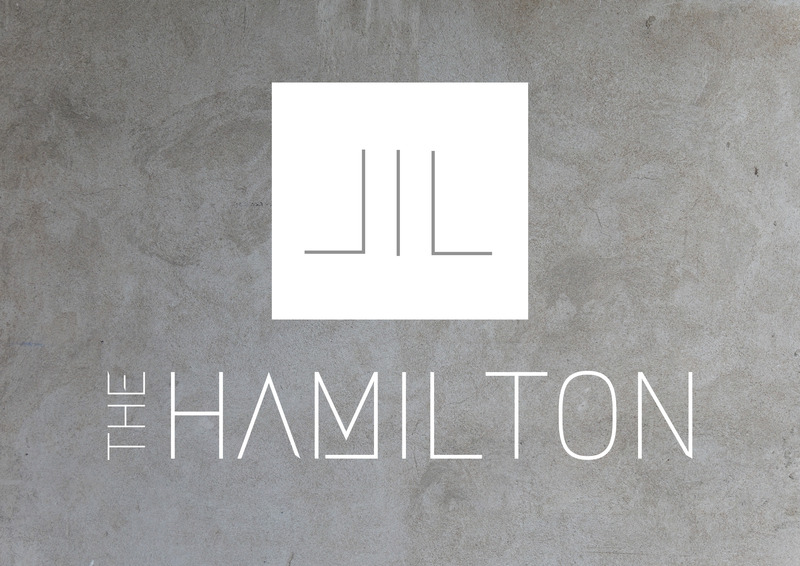 The Hamilton is designed by renowned architects Edmiston Jones whose broad experience enables a merging of conceptual and original design, detail and the best construction practices. This is a mixed use development that, in keeping with the character of the street, combines residential and commercial space. 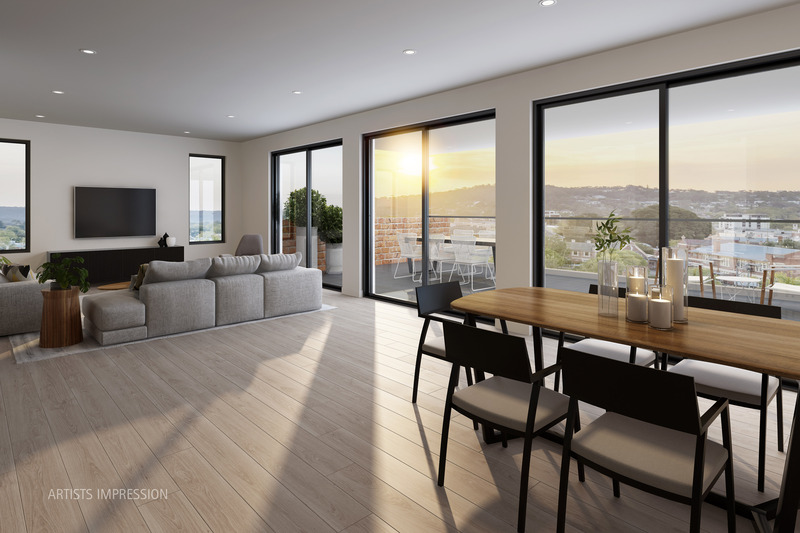 The first two floors will be home to businesses seeking contemporary office space of exceptional quality, while the four upper levels will house the exclusive apartments that range from one to three bedrooms with views over Albury. Oversized, open-plan living areas flow onto large balconies creating an extra living space perfect for everyday occurrences or celebrations. 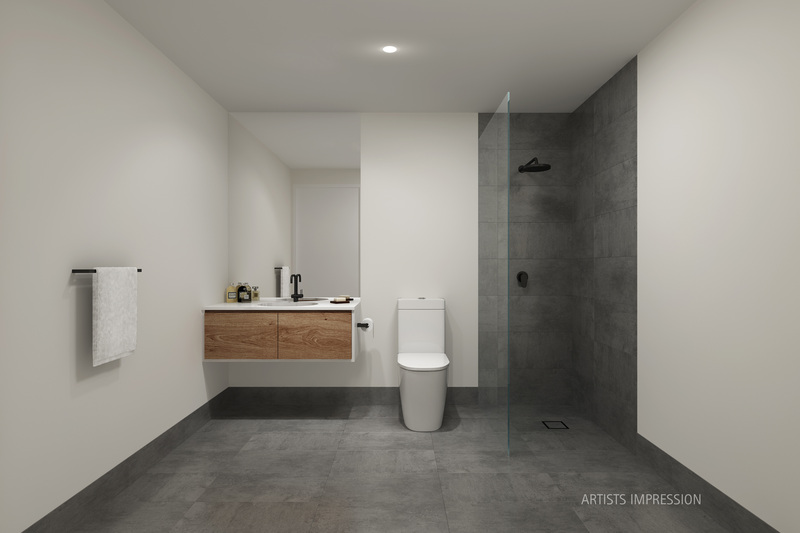 Luxury finishes with attention to detail are complemented by a simple colour scheme to create an edgy bathroom. The vanity is balanced with the use of large floor and wall tiles to ensure an open and inviting space is presented to a modern clientele. 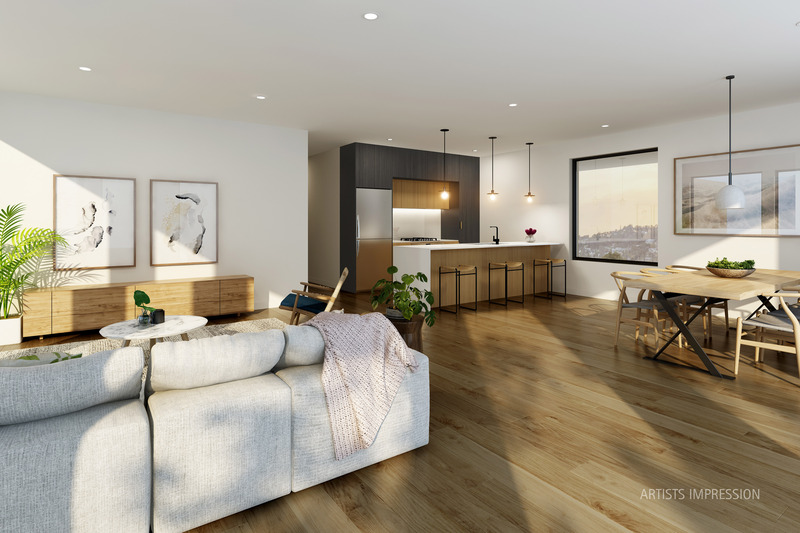 Just a short stroll to Albury’s main street and moments from local parklands, The Hamilton provides sophisticated living in unparalleled comfort. Weekends are for heading to the Albury Art Gallery, Hothouse Theatre, walking or biking along the serene path which winds alongside the Murray River or a short stroll to Albury’s historic cinema. 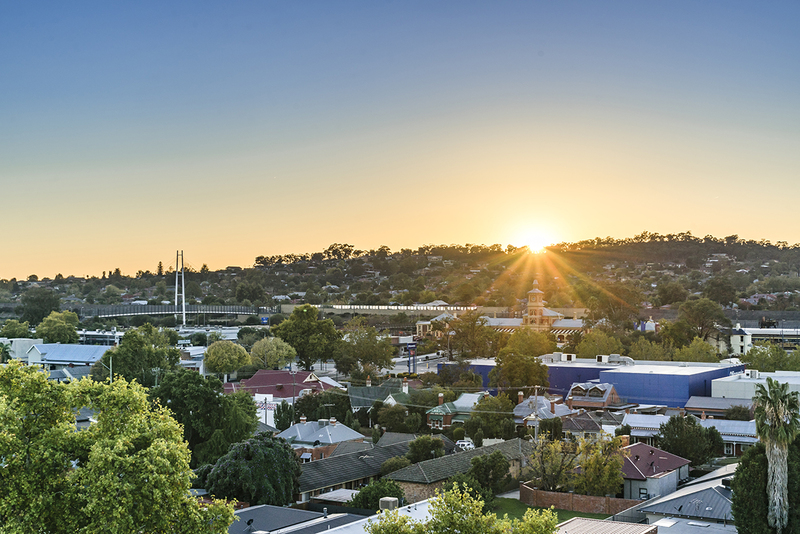 Albury’s quiet, tree-lined streets reveal local parklands and communal spaces abound. 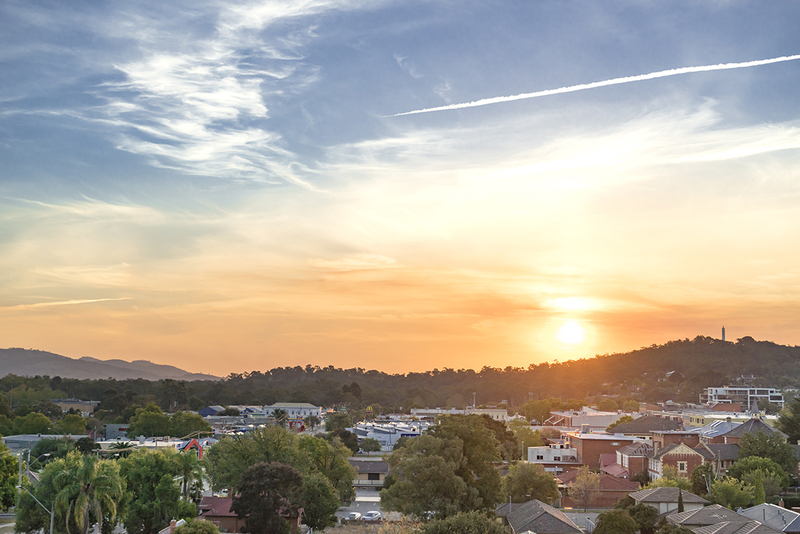 An urban city that showcases the best of city living with an outer urban warmth, Albury welcomes locals and newcomers alike. There’s a different experience to be had every day in Albury, with a seemingly endless list of vibrant restaurants, cafes and fine dining right on your doorstep. Elegant, timeless spaces that are luxurious but never pretentious, with an entertainer’s kitchen, possessing high standards of workmanship. Rear wall joinery is a combination of timber veneer and stone with natural-finish overhead cupboards, framing top-end appliances. Four rare and attractive professional suites are on offer at The Hamilton. 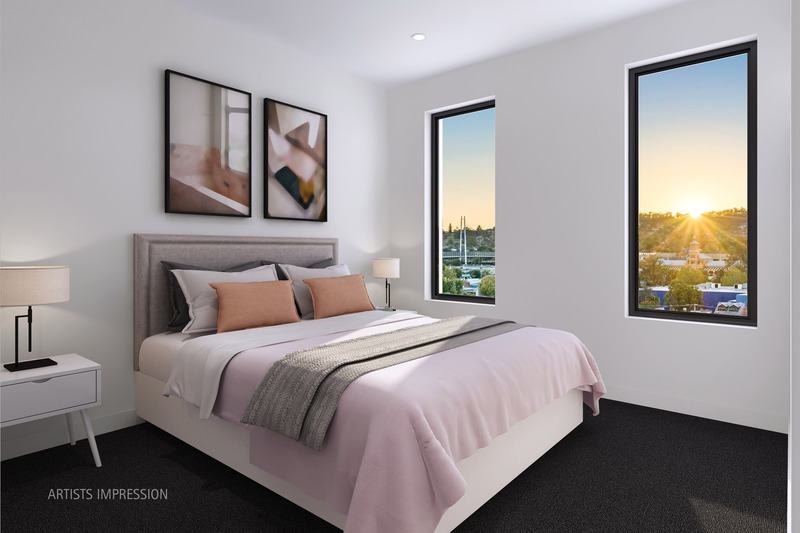 Perfectly positioned with Albury CBD at your doorstep, the investment is a highly appealing opportunity for both investors and the owner occupier.